You cannot add additional machines to the V1 Hatch Embroidery software. You can add additional hoops, which is the most important thing for creating your embroidery design. If you have a machine you would like added, please email hatchsupport@wilcom.com. We will add it to the wishlist for future upgrades. However, we cannot guarantee to add all machines. You may select another machine model of the same brand for your design. The difference between machine models for one machine model is generally the hoops. The design file format is the same. Therefore, if available you can select the machine model with the hoop list that is very close to your machine's hoop list. 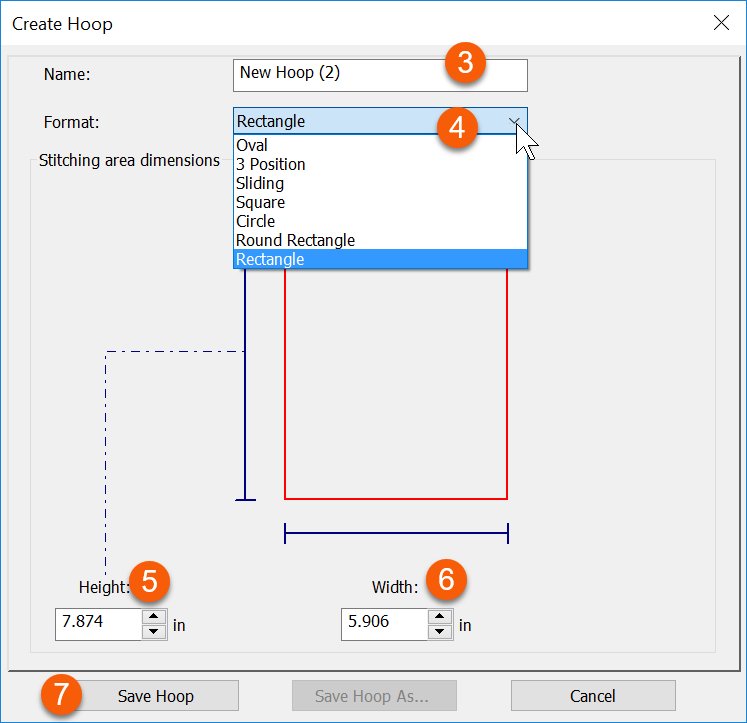 For those hoops missing, you may create customized hoops in your hoop list. 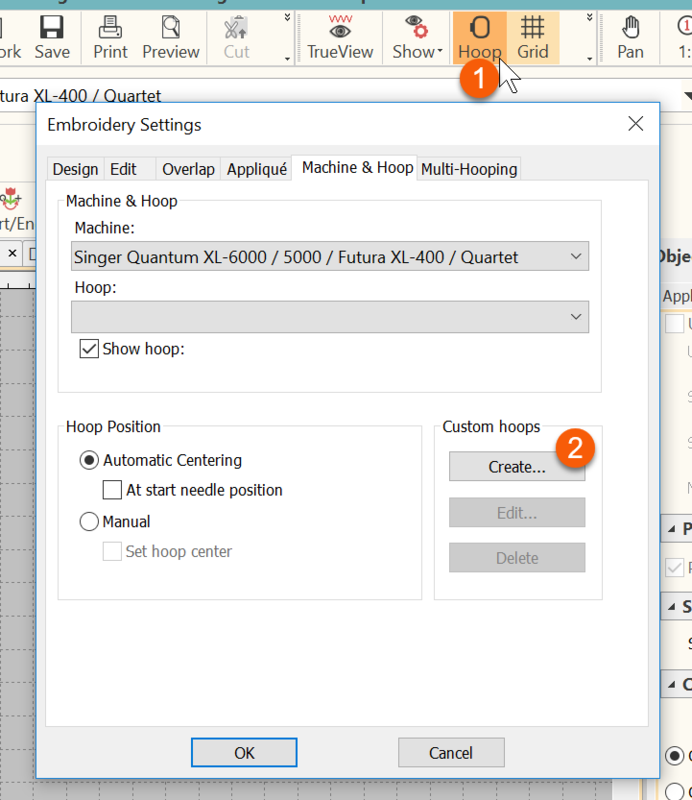 If you do not find your machine brand, then you can add your hoops in the "Others" machine list. You can then add your own hoops in the hoop list. Be sure you are adding the sewing field size and not the outer hoop size!